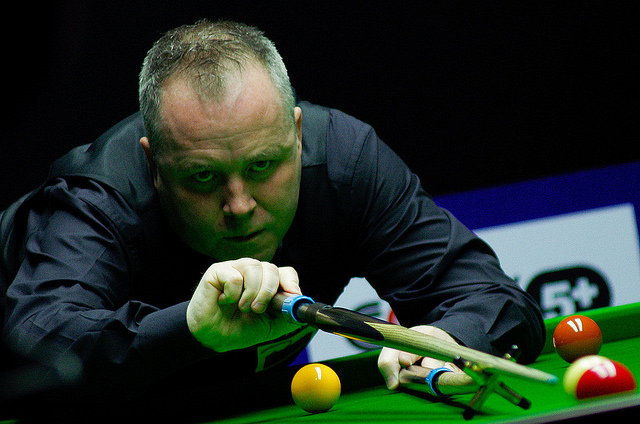 John Higgins produced a dominant display to cast aside Welshman Duane Jones in a 5-1 win at Evergrande China Championship qualifying in Preston. Scotland’s 30-time ranking event winner was victorious at the inaugural China Championship in 2016, where he defeated Stuart Bingham in the final. He got his quest for this year’s title off to a strong start this afternoon, compiling breaks of 61, 68 and 118 on his way to a routine win. World number seven Barry Hawkins wasted little time dispatching Germany’s European Under-21 champion Simon Lichtenberg in a 5-0 rout. The Hawk top scored with a break of 84 as he swept to victory in just under an hour and a half. Recent Yushan World Open finalist David Gilbert was a 5-0 winner against tour debutant Kishan Hirani. While Anthony McGill battled past Joe Swail 5-3.